These items are mixed between New, Open Box, Used, Returns, Refurbished, Ext. THESE ARE NOT ALL BRAND NEW ITEMS. You are purchasing a wholesale lot of assorted digital video cameras. The lot contains 7 cameras, all different brands and models. These items are mixed between New, Open Box, Used, Returns, Refurbished, Ext. These items have all been tested to be sure they turn on and will not arrive Dead on Arrival. That is however the extent of the testing on each item. These are perfect for any type of reseller! 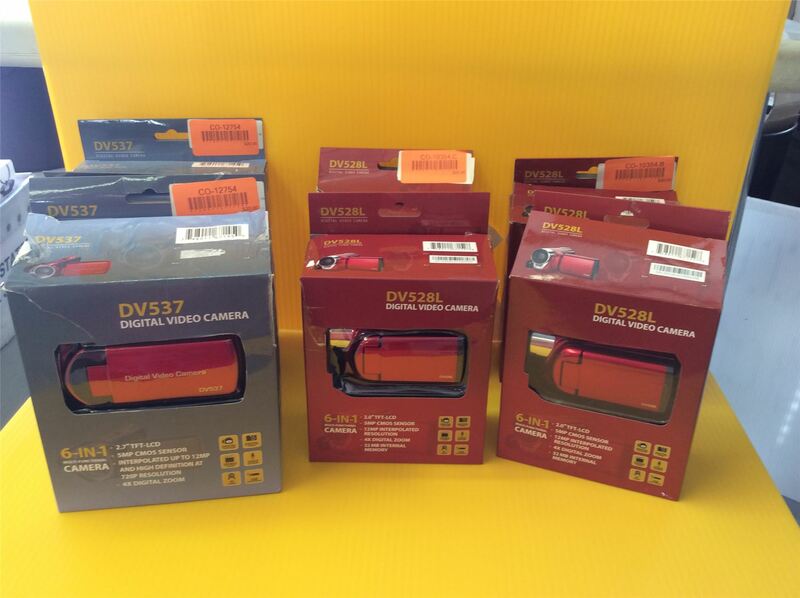 Click the button below to add the Wholesale Lot of assorted Digital Video Cameras, TESTED, Lot of 7 to your wish list.